✎ Mark Cuban’s Top 10 Rules for Success. Need motivation? Watch a Top Ten with #BelieveNation! Grab a snack and chew on today’s lessons from a man who went from selling garbage bags door to door to pay for a pair of expensive basketball shoes to becoming a billionaire entrepreneur, investor, author, and TV personality. 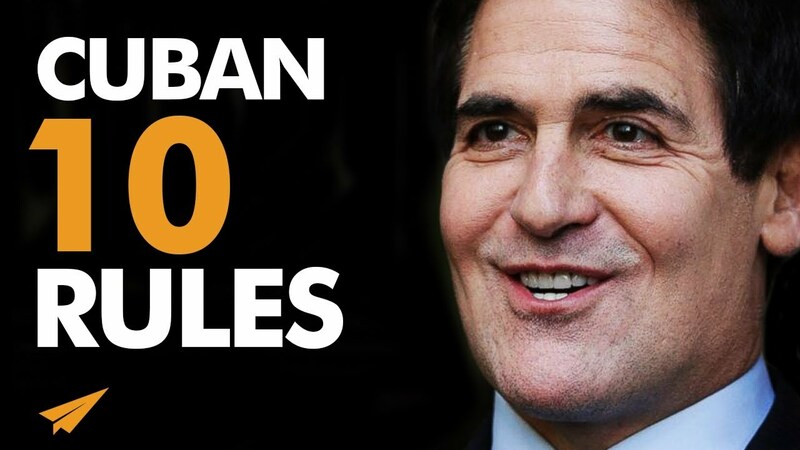 He’s Mark Cuban and here’s my take on his Top 10 Rules for Success Volume 6! ✎ More about Mark Cuban. His first step into the business world occurred at age 12 when he sold garbage bags. At age 16, Cuban took advantage of a Pittsburgh Post-Gazette strike by running newspapers from Cleveland to Pittsburgh. During college, he had various business ventures, including a bar, disco lessons, and a chain letter. He started his own company, MicroSolutions, with support from his previous customers from Your Business Software. In 1990, Cuban sold MicroSolutions to CompuServe for $6 million. He funded the Broadcast.com, which was later acquired by Yahoo! for $5.7 billion in Yahoo! stock. After the sale of Broadcast.com, Cuban diversified his wealth to avoid exposure to a market crash. He is the owner of the NBA’s Dallas Mavericks. In 2011, Cuban wrote an e-book, How to Win at the Sport of Business, in which he chronicles his experiences in business and sports. He is also one of the main “shark” investors on the ABC reality television series, Shark Tank.